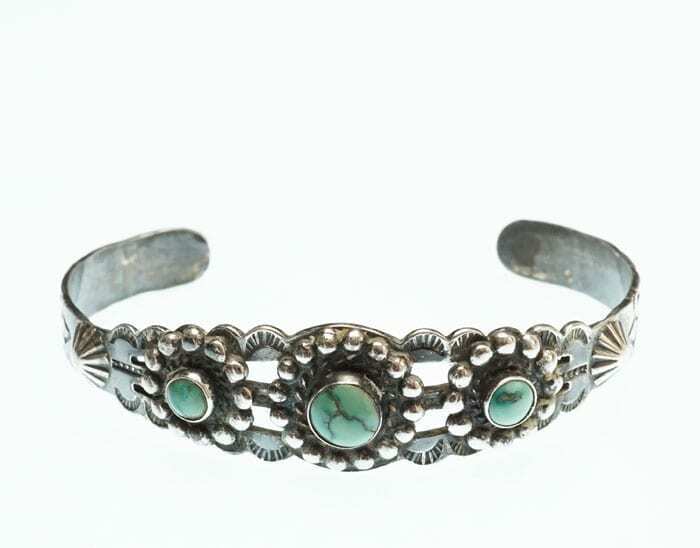 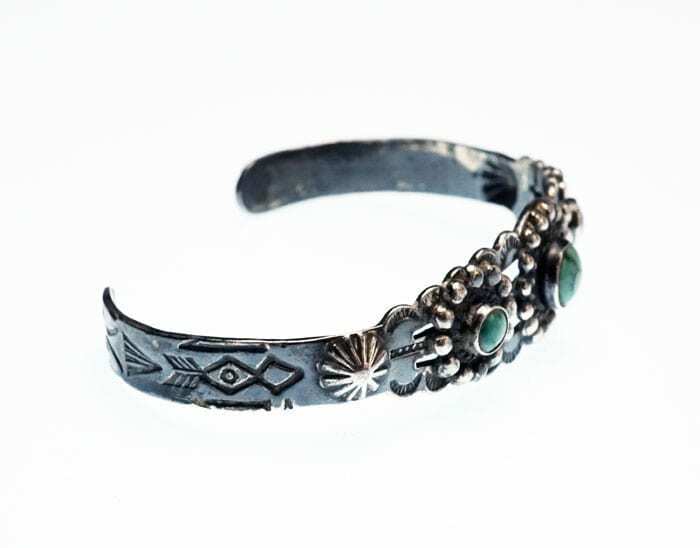 c. mid-2oth century bracelet with three turquoise cabochons, stamped designs, and other adornments. 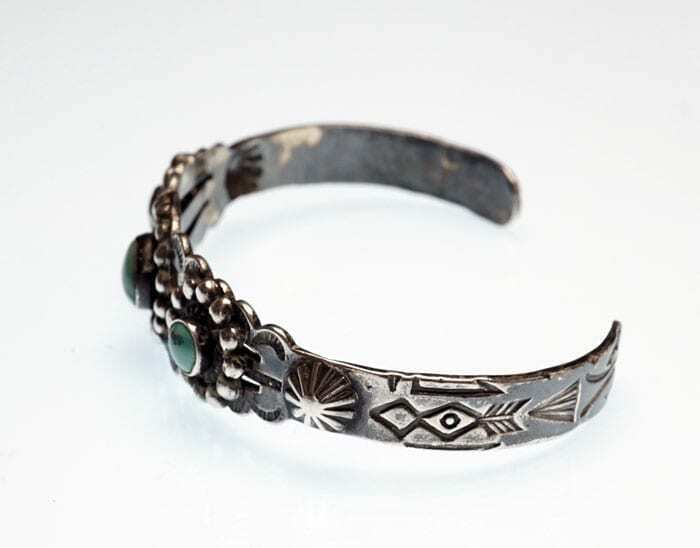 While this type of jewelry is often referred to as Fred Harvey style, it was often made by one of several other dealers who employed Indian workers. 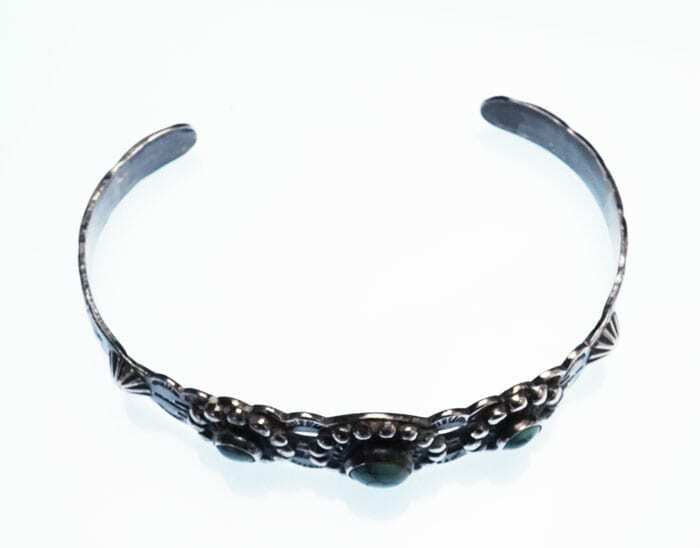 Total inside circumference of 6 inches, including 4 3/4 inches of silver and 1 1/4 inches opening.